Whats a System Restore Point? A restore point, sometimes called a system restore point, is the name given to the collection of important system files stored by System Restore on a given date and time. 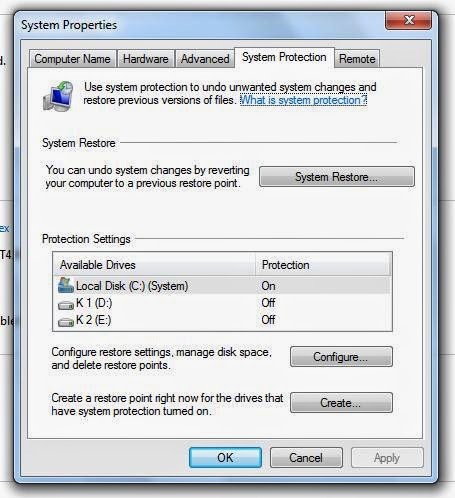 What you do in System Restore is revert to a saved restore point. 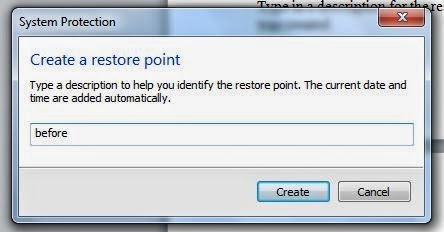 If no restore point exists on your computer, System Restore has nothing to revert to so the tool won't work for you. If you're trying to recover from a major problem, you'll need to move on to another troubleshooting step. The amount of space that restore points can take up is limited (see Restore Point Storage below) so old restore points are removed to make room for newer ones as this space is filled up. This allotted space can shrink even more as your overall free space shrinks, which is one of several reasons why I recommend keeping 20% of your hard drive space free at all times. Important: Using System Restore will not restore documents, music, emails, or personal files of any kind. Depending on your perspective, this is both a positive and negative feature. The good news is that choosing a restore point two weeks old won't erase the music you bought or any emails you've downloaded. The bad news is that it won't restore that accidentally deleted file you wish you could get back, though a free file recovery program might solve that problem. - a program is installed, assuming the program's installer tool is compliant with System Restore. - an update is installed via Windows Update. - an update to a driver. - executing a System Restore, which allows for undoing the restore. 1. Windows 7: Every 7 days if no other restore points exist over that time frame. 2. Windows Vista: Every day if a restore point was not already created that day. 3. Windows XP: Every 24 hours no matter what restore points already exist. What's In a Restore Point? All necessary information to return the computer to the current state is included in a restore point. 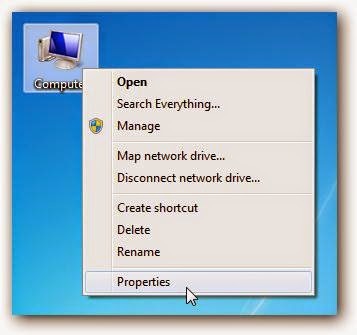 In most versions of Windows, this includes all important system files, the Windows Registry, program executables and supporting files, and much more.In Windows 7 and Windows Vista, a restore point is actually a volume shadow copy, a kind of snapshot of your entire drive, including all of your personal files. However, during a System Restore, only non-personal files are restored. In Windows XP, a restore point is a collection of important files only, all of which are restored during the System Restore. The Windows Registry and several other important parts of Windows are saved, as well as files with certain file extensions in certain folders, as specified in the filelist.xml file located in C:\Windows\System32\Restore\. 1. Right-click on My Computer or This PC on windows 8 and go to Properties. 2. 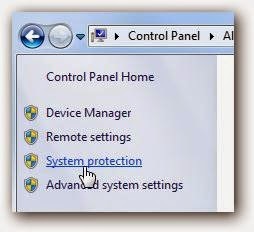 Next, click on the System Protection link. 3. The System Properties dialog screen opens up. Just click the disk that you want to create the system restore point. In this tutorial i choose the C: then click Create. 5. Type in a description for the restore point which will help you remember the point at which is was created. 6. The time it takes to create the restore point will depend on the amount of data, computer speed etc. All done! Now if something goes wrong you have the satisfaction knowing that you can go back in time to the point before the changes were made.